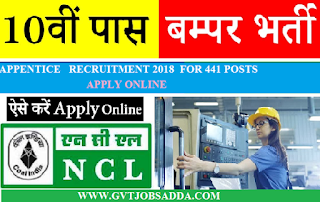 Northern coalfields Limited (NCL) Has recently published the job notification 441 posts for the apprentice. Those candidates who are interested & illegible may check vacancy details and apply before of last date 06-10-2018 fro 12-11-2018. Brief information about (NCL 441 APPLY 2018) mention bellow. 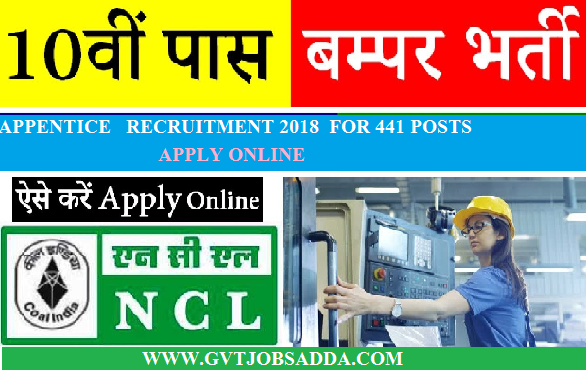 EDUCATION QUALIFICATION FOR (NCL 441 APPLY 2018) : Candidates should have complete 10th & ITI in relevant trade with minimum 50% of marks. SELECTION PROCESS : Selection process of the candidates basis on merit list . HOW TO APPLY : Interested & eligible candidates can apply online through NCL website given below.